A new briefing paper from the Royal United Services Institute (RUSI) reveals a demoralised rank-and-file of the Taliban movement that has little confidence in its fragmented leadership. 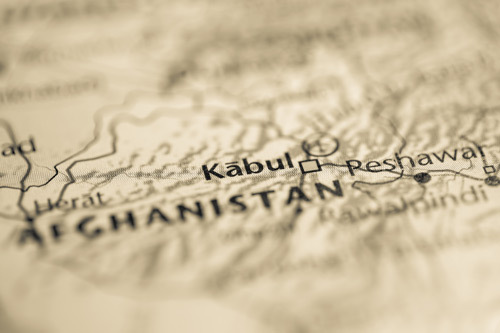 The paper – co-authored by Professor Theo Farrell of City, University of London – identifies an historic opportunity to bypass the Taliban’s leaders to pursue “insurgent peace-making” by harnessing a large number of those disaffected within the Taliban. The Taliban movement is in disarray, with several factions vying for power. Despite 2016 battlefield successes, morale is patchy. Many Taliban feel that the war has lost direction and purpose, and is corrupting the movement. Such conditions present an opportunity for insurgent peace-making where it would be possible to mobilise the large numbers of disaffected within the Taliban in order to get around stonewalling by the leadership. Written by Professor Farrell, a RUSI Associate Fellow and Dean of the School of Arts and Social Sciences at City, and Michael Semple, Visiting Professor at Queen’s University Belfast, the paper is based on in-depth discussions with well-connected Taliban figures representing different constituencies within the movement. Entitled Ready for Peace? The Afghan Taliban After a Decade of War, the briefing paper calls for a “new approach, designed to out-manoeuvre the stonewalling of the Taliban leadership, can be termed 'insurgent peace-making’”. It outlines how the leadership is in disarray, with several factions vying for power. It also reveals how morale within the movement is patchy as many feel that the war has lost direction and purpose, and is in fact “corrupting the movement”. The paper reveals how many mid-level Taliban leaders and rank-and-file are ready to contemplate “an early end to the conflict”, and that there is “little optimism that the formal leadership and main power-brokers of the Taliban will endorse a peace process”. The paper warns that continuing with “a strategy of engagement with the Taliban’s unitary official leadership may not be sufficient to achieve a deal”, but so far this strategy has failed. Instead, the paper argues for a new approach that mobilises and directly engages with pro-peace Taliban. Such insurgent peace-making would be “a practical expression of Taliban protest at the incumbent leadership’s failure to develop a credible strategy for the movement”. A strategy to exploit dissent in the Taliban “offers both threat and opportunity for peace-making”. Arguably, the main beneficiary so far from the break down in Taliban cohesiveness has been Islamic State of Iraq and Levan – Khorasan Province, which has primarily recruited Taliban dissidents. But the proposals presented in the RUSI briefing paper “would instead channel dissent within the Taliban movement towards an incremental peace settlement”. The paper suggests that participation in “peace dialogue should be open to all Taliban with standing and influence in the movement who can obtain a mandate from their supporters, rather than from the leadership”.